Beginner’s Guide to Ethereum Mining in 2017 – How to Mine Ethereum on Your PC? The good news is that getting started with Ethereum Mining is now easier than ever. You do not need to download the full Ethereum blockchain, which is now over 20+ GB’s and still growing! You also do not need to manage clunky command line miners with manual instructions. Q: Why should I mine Ethereum tokens (aka ether or ETH)? doesn’t mining Ether take up a lot of electricity? A: If done properly, more money is earned by selling mined ETH than is spent on electricity. In other words, it’s profitable! You can check out the profitability with our Ethereum mining calculator. Q: Can I mine with my CPU (Personal computer’s processor) instead of an expensive graphics card (GPU)? A: GPUs are so much faster that CPU-mining is no longer profitable or worthwhile. Even entry-level GPUs are about 200 times faster than CPUs for mining purposes. Q: What’s the best GPU to use for getting the most ETH for the least electricity? A: AMD cards tend to edge out similarly-priced NVidia cards in terms of efficiency. We cover the best cards to get under the heading “GPU Hardware” further down in this post. Q: Why point your GPU towards a mining pool as opposed to solo-mining? A: Unless you throw a fortune into mining hardware, your odds of generating ETH on your own are low. Pool-mining allow you to earn ETH in a regular and predictable way. Q: How do I get started with mining Ethereum? Q: What miner should be used to easily mine ETH? A: Previous versions of this guide referenced an old program (AlethOne) that is no longer in use – please see Step X where we discuss using the Claymore Miner. Q: What are the OS requirements for mining? A: This guide covers using Windows 10 (make sure it’s 64 bit). There are also various distros of Linux that can be used (not covered here). But Windows is the easiest to configure and get up and running fast. There is no Mac version at this time. Q: The Ethereum Mist wallet is not sync’ing for me, can I use any Eth wallet address for mining? A: You can use any ETH wallet address for mining, but some exchanges do not allow mining or do not allow very small deposits so double check with the site if mining directly to a web-deposit address. A good alternative to downloading the full Mist wallet and Ethereum blockchain is MyEtherWallet.com, which still allows you to manage your Ether wallet address and maintain control of your private keys (which is important for security and/or wallet backup and restoration if needed). 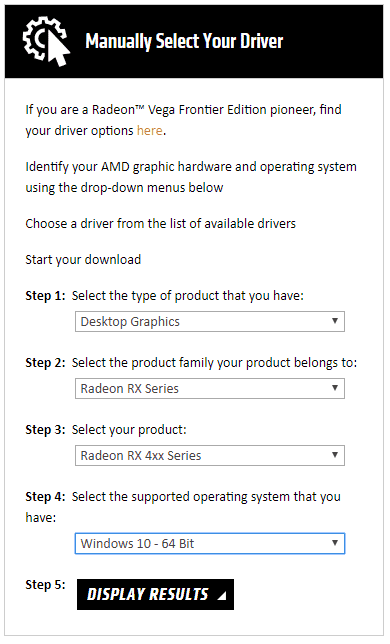 Q: Aside from the GPU, what are the rest of the system requirements for my Windows Mining Rig? – You want to get a motherboard with enough PCI-E slots to support the number of cards you are running. Q: What are the other options for mining Ethereum like with specialized ASIC hardware, gaming laptops, or Virtualized environments? Q: I can’t seem to find any good GPU’s for sale – can I just try out one of these Cloud Mining sites I’m seeing? Mining can be a great way to subsidize the purchase of a new, high end GPU (or two or three…). As Ethereum is easily traded for bitcoins (BTC), it’s a cheap way to slowly build up a hodling position in Bitcoin. Many influential people are very bullish on Bitcoin’s prospects for 2016 and later. Mining can be a cheap entry ticket to the Ethereum markets, loved by traders for their high volatility. If you’re a good and / or lucky trader, you can maximize your profits. If you believe in the Ethereum concept (despite the failure of the DAO and doubts regarding the viability of Ethereum’s approach), you can support and gain voice in the Ethereum network through mining. Some of the above terms in bold probably require further clarification for cryptocurrency newcomers. Let’s start with the Ethereum blockchain; the distributed digital ledger which you actually mine. All transactions in Ethereum (and other cryptocurrencies) are encapsulated within discrete blocks. These blocks are comparable to the batches of transactions which banks send to each other, except in Ethereum they occur every 15 seconds (on average). Blocks are identified by their “height,” starting from 0 and incrementing sequentially until the current block. Miners listen for transactions over the network and amass all they consider valid (in terms of fees, code and the accounting history of who controls which coins) into blocks. Miners expend electricity hashing that block with the processing power of their GPU(s). A successful hash result produces produce a unique Proof of Work (PoW) proving that the miner worked on that block. If the rest of the network accepts the hashed block as valid, the block becomes part of the permanent consensus on valid transactions, known as the blockchain. The miner receives 5 ETH plus all transaction and code-processing fees (aka gas) contained in their block, plus a possible bonus for any uncles they include. Ethereum uses a different hashing algorithm to Bitcoin, which makes it incompatible with the special hashing hardware (ASICs) developed for Bitcoin mining. Ethereum’s algorithm is known as Ethash. It’s a memory-hard algorithm; meaning it’s designed to resist the development of Ethereum-mining ASICs. Instead, Ethash is deliberately best-suited to GPU-mining. So if the amount of hardware dedicated to Ethereum mining is rising, why aren’t blocks being mined ever more rapidly, such that the average 15 second block time has decreased? The next obvious question is why hashrate and difficulty have been rising in the first place? There’s a simple economic driver; price! These figures will change based on when you run this analysis, but for purposes of the example here we would net 109 ETH annually. If sold at the current price, $1537 will be earned from which we subtract the electricity cost of $493. This nets a respectable profit of $1045. depending on your intended setup, it may be necessary to buy a new Power Supply Unit (PSU) to run your hardware. An electrically-efficient PSU costs more but saves on power costs over the long term. Experimentation with various GPU selections in the calculator will reveal a card with the best price to performance to power consumption combination (expressed as MH/s per Currency Unit). Keep in mind that AMD cards outperform NVidia for cryptocurrency mining purposes. The card should have at least 3 gigs of RAM or it won’t be able to properly mine Ethereum. This is due to the growing DAG file (directed acyclic graph) used in the Ethereum Proof of Work hashing process. Pro-tips: check out the following GPU’s: AMD Rx 470/480 Rx 570/580, AMD R9 range, HD 7990 / 7950 (if used cards are available, try to get them from a gamer instead of a miner, with a warranty if possible). For Nvidia, look at the 1060 / 1070 / 1080 series cards. As with everything, do your own due diligence to evaluate GPU’s based on their hashrate, power requirements, availability and price. For a solid budget card, the Rx 470 with 4 gigs of RAM is recommended (when in stock and not at ridiculous over-inflated prices due to the card shortage like we’re seeing right now in the summer of 2017). AMD RX Series: The Game Changer. AMD introduced their new 14 nanometer (nm) RX series card at a hard-to-resist $200 price in 2016 and crypto currency mining became much more profitable as the smaller 14nm fabrication process gives this card impressive performance and low power consumption. It has become the new standard in Ethereum mining and with the huge price explosion the demand for these cards have far outpaced supply and created an extreme GPU shortage, resulting in much higher GPU prices. That said, if you shop carefully, set up auto-notifications/alerts and have a little luck you can get some of the AMD RX series cards. If you’re reading a newbie’s guide to Ethereum mining and have a GPU powerful enough to make it worthwhile, we’re going to assume you’re running Windows so we’ll focus on mining Ethereum on that platform. You can follow Steps 2-4 to download the official Ethereum Wallet, but you do need to wait for the full Ethereum blockchain to sync. To skip this and get going much faster, jump down to Step 5 and create a wallet using MyEtherWallet instead. The Mist package contains the Ethereum wallet which you’ll need to receive any mining profits. Mist also includes an Ethereum browser with various functions, such as messaging and a social network and tutorials. As a tip, these tutorials and the social network are helpful learning resources. Don’t be scared to ask the Ethereals if you’re experience difficulty with any part of this process. When it completes, spend a few minutes to familiarise yourself with the Mist app; the interface is fairly self-explanatory. The Mist app isn’t yet fully polished so expect a few bugs. 1) Add your new account, give it a memorable mining name. Store the password securely! As you become more proficient in Ethereum mining and coding, Geth will become more useful to you, but for now this is not recommended as the easiest path to getting started with Ethereum mining. Download your “Keystore File” and click the “I understand. Continue.” button. Coins sent to this address can be sent from MyEtherWallet to any other Ethereum address (on an Exchange for example, to convert to Bitcoin, cash, etc.). Once downloaded, Extract the folder to your Desktop for easy access. Next you want to modify your system page file and manually set it to 16384 MB (this is 16GB). The next step is to setup pool mining, as solo-mining is unlikely to make you any Ethereum unless you have a warehouse full of GPUs. Your first step will be to choose an Ethereum mining pool. There are plenty to choose from but we recommend Nanopool or Etheremine. The home page or help section of a mining pool site most likely contains instructions on how to mine on their pool using the popular Claymore miner. Directly on the home page of Ethermine.org you’ll see a section called “Stratum mode using Claymores Miner”. Open your Claymore miner folder on your desktop and right click on the text file called “Start” and choose “Edit”. We hope you find this guide useful! If you run into any issues or have questions, please comment below and we will try to help. Note, we are not covering more advanced steps of mining such as overclocking and undervolting, bios flashing, remote access and monitoring, or Dual mining. If you want If interested in taking your mining to the next level from here, sign up for Crypto Mining Academy, where I go into massive depth and detail at every step of this process in a comprehensive course. Happy Mining!